The winter transfer period is a time that many Soccer clubs utilize to carry out squad adjustments as sorting out players who do not get to play a lot. Other teams are forced to sign new players due to injuries. Since last Thursday, the winter transfer window in the European soccer leagues is closed. 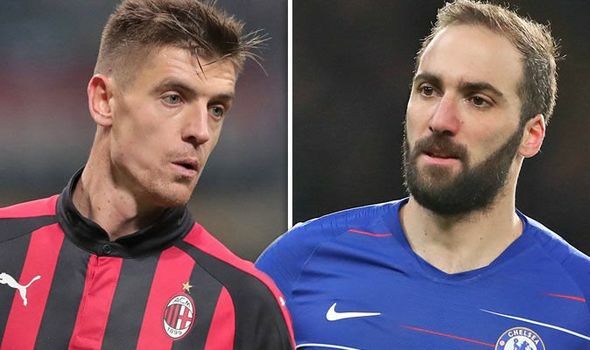 Nevertheless, the real trigger of the period was Chelsea’s loaning of the Argentinian Gonzalo Higuain from AC Milan until the end of the season in summer. Then, the club from London has the option to loan the center-forward for one more year spending about 20.5 million dollars or buy the player for 41 million dollars. At his debut versus Huddersfield (5-0), the new number nine at the Stamford Bridge already netted twice. Consequently, the Spaniard Alvaro Morata will be lent back from Chelsea to his youth team Atletico Madrid until the summer of 2020. In England, the center-forward could not satisfy expectations scoring only 16 goals in 47 appearances. Since AC Milan had to compensate the loss of Higuain, the Rossoneri took away the Polish striker Krzysztof Piatek from league rival FC Genoa paying about 40 million dollars. He signed a contract through to June 2023. In his first two games, the 23-years old already scored three goals for Milan. If that is not enough, the Italians invested another 40 million dollars in signing the 21-years old Brazilian talent Lucas Paqueta from Flamengo Rio De Janeiro. In September last year, the attacking midfielder already debuted for the Seleção, the national team of Brazile. Finally, Paris St. Germain (PSG) responded to Thomas Tuchel’s (coach) official request for new players by purchasing Leandro Paredes for about 51 million dollars from Zenit St. Petersburg (Russia). Tuchel needs the defensive midfielder from Argentina to survive the round of the last 16 in the UEFA Champions League Cup against Manchester United. Currently, the PSG midfield suffers a deficit. The Italian Marco Verratti just got back in practice, and Adrien Rabiot gets dismissed weekly by coach Tuchel because the Frenchman does not want to extend his contract. Brazilian star player Neymar Junior is not available for the next eight to ten weeks recovering from his fifth metatarsal fracture. Next Tuesday, February 12th, fans might be able to see Paredes debuting for PSG in the clash at Manchester United. Bonus2019.03.12Are there more Miracles to happen in the UEFA Champions League?